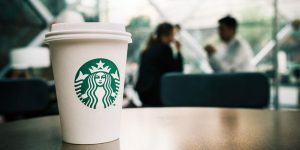 The new Starbucks benefits package (NASDAQ:SBUX) is designed to ease the burden that many of its workers face when they have family members who are sick. The company’s new family care benefit will give its workers ten subsidized backup care days for children or adults in the form of child care or elder care. The move is an extension of the company’s January announcement that it was rolling out a new set of benefits that includes sick leave for all baristas, as well as $500 in stock grants, plus $2,000 for store managers. The move comes as the company noticed that 2 million working parents quit their jobs in 2016 because of child care, according to the National Survey of Children’s Health. This marks one of the largest companies in the U.S. to offer such benefits. “It’s hard for employees to actually focus on work if their families aren’t cared for,” said Sheila Marcelo, CEO of Care.com. Having these care benefits can improve the productivity levels of workers. SBUX stock was declining roughly 1.1% on Wednesday following the news. Article printed from InvestorPlace Media, https://investorplace.com/2018/10/starbucks-benefits-package-sbux/.